Sell, service, market, and connect to grow your business every day. Salesforce is an easy-to-use, cloud-based CRM (customer relationship management) solution used by businesses in every industry to increase sales, generate more leads, improve customer service, and ultimately grow. With no hardware or software to maintain, Salesforce scales to your business needs and helps you keep costs down and do more with small teams. It’s the business management solution for those who don’t want the hassles of business software — and there’s nothing to install. You simply log in through a Web browser and everything you need to succeed with your sales process, lead generation, and account management is at your fingertips. In fact, Salesforce CRM solutions save your company time and money by automating tasks that can keep your people from focusing on customers and big picture initiatives. And because our products work 100% in the cloud, they eliminate the need for costly on-premises IT staff, costly repairs, downtime, and software upgrades. What makes Salesforce ideal for you? It’s a cloud-based CRM solution. Low setup costs. No hardware, no software, no hassle. Automatic upgrades: 3 times a year. Out-of-the-box and customizable CRM to run your business in one place. Scales with your business. Add users when you need to. Enterprise-level cloud security for businesses of any size. Track and manage contacts from lead to customer. Give sales the info they need for a precise follow-up. Personalize pitches and win more deals with a complete view of the customer — their account, activity history, and connections. Improve productivity for you and your team with integrated email, easy collaboration, streamlined processes, and mobile CRM. Automate repetitive tasks, and focus on following up, building relationships, and closing deals, not administrative duties. 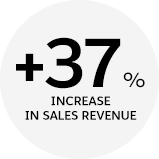 On average, Salesforce customers see a 37% jump in sales revenue. Want to learn more about CRM? Contact us. Because Salesforce is in the cloud, it can grow and scale with your business. You can easily add features from tons of apps in our marketplaces without adding costly infrastructure, and Salesforce upgrades are instantly implemented as soon as they’re available. 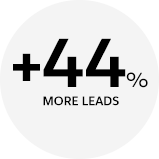 With all your information on customers, prospects, and leads stored on a single online platform, everyone in your business has access to the latest information — no more version control headaches or out-of-date spreadsheets. Need to ensure your salespeople have access to the information they need when out at customer meetings? No problem. Our CRM system is fully mobile, so your data is available on any connected device, at any time.